With a resounding amount of positive reviews and a $302 million performance at the box office, it’s really no surprise to see that the X-Men Days Of Future Past marketing worked well under pressure. Up against the likes of Godzilla and The Neighbors, Bryan Singer‘s sequel could have easily took second or worse. Then there were the issues with the film’s continuity, but thanks to Singer and screenwriter Simon Kinberg, all of those problems were wiped away thanks to the time traveling theme, something of which was the focal point of the viral marketing. 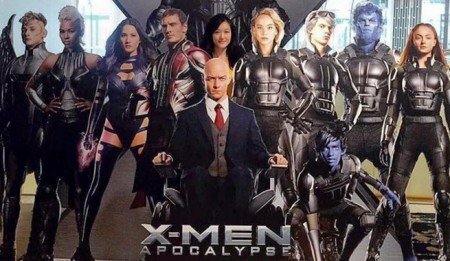 Now that the film is already out, the viral marketing has come to an end, that is until X-Men: Apocalypse comes out. But to check out some of our favorite X-Men: Days Of Future Past viral campaigns, you will have to hit the jump. And there are a lot of things we liked about it. As some you may know, much of the X-Men: Days Of Future Past viral marketing campaign focused on key points in history. The campaign which launched during comic-con, was a near year long campaign that started out with the cast of the two franchises uniting as one to promote the film during the X-Men: Days of Future Past Comic Con panel. During that time, Fox also unveiled the head of a Sentinel, which was an actual prop from the film. Trask industry hats were also given out to not only hype the film, but promote the launch of a the Trask viral site as well. As the viral campaign continued, the Trask site developed more and more. It started out as a 50 year celebration, then turned into a Trask marketing piece which would help promote the use of the Sentinel Program. It would be another month or so until the next update of the Days of Future Past viral marketing campaign launched. But instead of sticking to the Trask site, Fox launched the JFK Assassination conspiracy site called: The Bent Bullet. The site dealt the the idea that Magneto assassinated President John F. Kennedy, not Lee Harvey Owsalt. But The Bent Bullet was much more than a conspiracy site, it also was a sort of bridge the gap between the two films. On the site, we learned that Magento’s fellow mutants: Azazel, Riptide, and others have died between the events of First Class and the Kennedy assassination. Once again, it would be a few months before we saw more viral activity, but while that may be so, Fox ended the Days Of Future Past viral marketing with one big bang. Showing how much fun Fox can have with the theme of time travel, they released the 25 Moments In History Changed By Mutants. Now to clarify, Fox put a disclaimed that all of this was fictional, and not meant to take these moments lightly. But it did pose an interesting question of what would happen if mutants were real, etc. 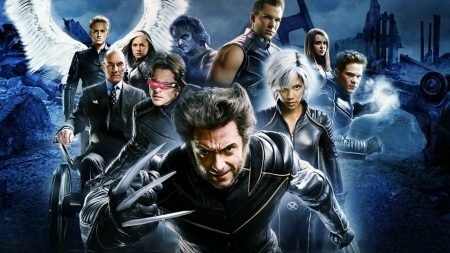 A complimentary site of the same name was also released, and it came with 25 images of almost every member of the X-Men film franchise cast in some sort of pivotal moment in history ranging from revolutions, the Olympics, to further in the future where mutants like Beast was savagely beaten, or when mutants started to wear inhibitor collars. Looking at the marketing tie-ins, we saw plenty of fun and whimsy ads, one of them which was quite confusing at first, but actually paid off in the end. Fox decided that they would show of their version of QuickSilver first – if you didn’t stick around for the Captain America: The Winter Soldier after credits, you know what I mean. The Quicksilver Carl’s Jr./Hardee’s ad saw the speedy character eat and drink the restaurant’s breakfast meals at what looked like the speed of light. Nearly everyone called it a joke, and even questioned why Fox would decide to show off Quicksilver in a fast food ad as opposed to a trailer or clip. Not that it mattered anyway, because Fox stayed strong, and in the end, the idea paid off. Mystique and Colossus were also some of the other mutants featured in the ads of Carl’s Jr.
Norton and Google Chrome would be another company who wanted to see their name in the hit film. Unfortunately, this marketing tie-in was only available to those who use Google Chrome. But if you did use it, you’re able to view an alternate timeline on the X-Men Facebook page which shows you how the X-Men universe has been altered. Mountain Dew also was a part of the X-Men: Days Of Future Past marketing plan. By going on their site, fans were able to share their personal “X”-preiences with others for a chance to win tickets to attend the world premiere of the film. Not only that, but they were also able to unlock exclusive video content of the cast speaking about the film or their respective characters. On the social media aspects of the viral marketing campaign, the first trailer saw a 28 million view count, not bad considering that it was released earlier this year. This was followed the second trailer which cleared up the film’s plot, and it earned 15 million. Not surprising that the numbers are lower considering the schedule, but the third and final trailer took in 16 million views on YouTube. Now Fox cleverly released multiple trailers in multiple languages, and while the view count may be low, it helped the actual YouTube Page gain more views as a whole. In total, along with the views of X-Men first class, the clips, tv spots, and promotional pieces, the X-Men Film youtube page as a total of 101 million views. Overall, I’d have to say that Fox did more than just an excellent job marketing this film on the digital aspects and the commercial one as well. The ads ever very effective, and even caused those on the blogosphere to talk about the film. The viral marketing campaign was just as questionable at first due to the nature of using the JFK assassination to market the film, but again, that event was an important piece to the film itself. So even though it was questionable fiction, it was somewhat entertaining to the fans of the film or comic book.